Most 3PLs expect to make mistakes. Red Stag guarantees that it won’t, with fast inbound processing, zero losses, and 100% order accuracy. This post is by Chris Molitor, Vice President for Business Development at Red Stag Fulfillment. In early January 2013, two ecommerce entrepreneurs stepped gingerly around piles of packing material in the fulfillment warehouse they had hired to ship their products. Their Christmas season had been a disaster, with orders shipped late, packages mis-shipped, and inventory lost. The owners had come to the fulfillment warehouse in person to do something that most ecommerce businesses do in January: assess what went wrong during the busiest time of the year, the holiday sales season that can make or break an online retailer. When they walked into the warehouse, they immediately saw the problem. The main floor was a mess. The employee breakroom was filthy. Employee morale was low. Their ecommerce startup was growing fast, but the entrepreneurs knew they couldn’t sustain their growth without reliable order fulfillment. So, they decided to create their own fulfillment company. In the spring of 2013, they launched Red Stag Fulfillment. When Red Stag’s president, Eric McCollom, started with the company in early 2013, he and the first few employees built an ecommerce fulfillment company from scratch. That enabled them to create a different kind of fulfillment center, one that would meet the high standards of the founders. To McCollom, that meant treating employees like family and, in return, getting a loyal and dedicated workforce, willing to go the extra mile for Red Stag’s clients every day. It meant setting up processes, building custom software, and crafting customer order guarantees that allow Red Stag to do something no other logistics provider does: pay customers every time there’s a mistake. When you examine your 2018 holiday season fulfillment operations, your lessons learned can guide you to a more prosperous 2019. As you review the ecommerce equivalent of the Big Game, you might want to ask yourself whether your fulfillment center was able to provide all the services you want and need to grow your business. Where were there 50-yard passes and where did your 3PL provider fumble the ball? The answers to these questions will help you shape your fulfillment strategy in 2019. Red Stag has put together its Fulfillment Company Questionnaire to help you assess your outsourced order fulfillment operations. Here are six key performance indicators (KPIs) in fulfillment to consider as you play Monday morning quarterback to your holiday season. When an order ships incorrectly because someone mis-packed a box or mixed up a label, solving the problem can turn into a customer service headache and cost you money. Red Stag has a fix for that: if an order ships wrong, the company will pay for the shipping to fix the mistake and pay you $50 to compensate for the hassle. Red Stag’s low error rate (one in 15,000 orders) means customers rarely have to take them up on their guarantee. What was your rate of mis-packs and mis-ships in 2018? How much did those mistakes cost you in additional shipping, replacement products, and employee time? 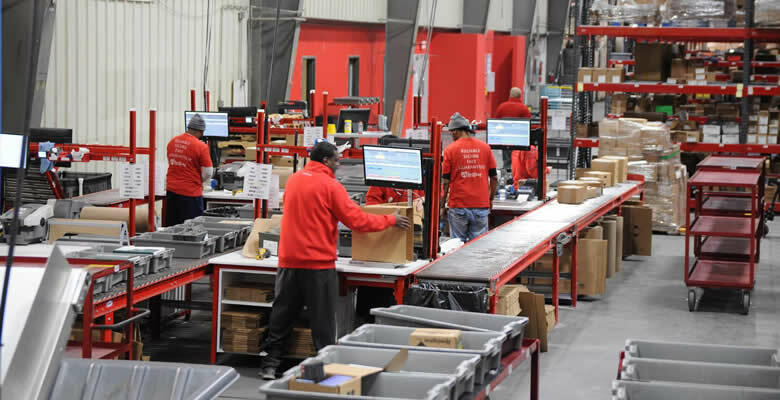 How can you work with your fulfillment center to do better in 2019? Major carriers such as FedEx and UPS calculate shipping costs based on the zone (how far you’re shipping a package) and the DIM weight: the dimensions of the box compared with the weight of the box. Generally, if your box is small and lightweight, your DIM weight will be the same as your actual weight. If the box is quite big, your DIM weight will be greater than the actual weight and your shipping costs will increase. 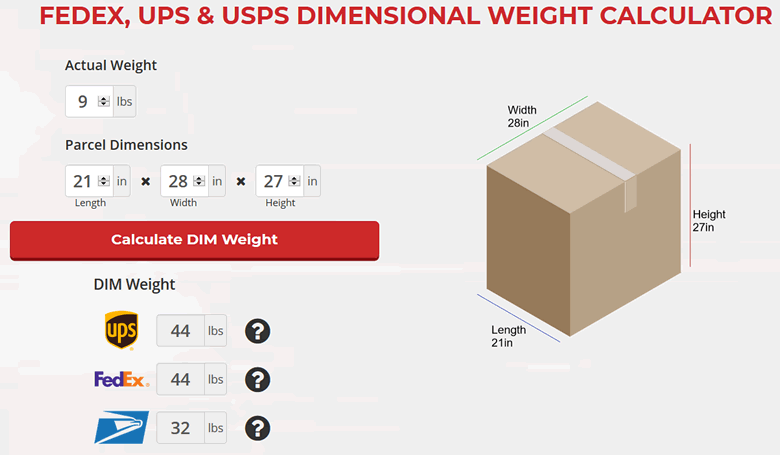 One of the best ways to reduce the cost of shipping is to minimize your DIM weight. Red Stag uses a cutting-edge packing machine that analyzes each order and creates a custom box to perfectly fit the products that will be shipped. This reduces the chances of damage during shipping, because products are less likely to move around inside the package. It is good for the environment, because it reduces the amount of packaging and filler needed in each box. It’s also good for your bottom line, because it reduces shipping costs. You can estimate shipping charges for different packages with Red Stag’s handy DIM weight calculator. How has your 3PL provider helped you lower your shipping costs? Would your business benefit from expert guidance about how to reduce your shipping costs? There’s nothing worse than hustling to get stock to your fulfillment warehouse so you won’t run out of inventory in your online shop only to have your products sit on a loading dock for days before they get logged in and placed on the warehouse shelves. To combat this problem, Red Stag created a 48-hour turnaround guarantee: once a client’s products arrive in the Red Stag warehouse, they will be logged into inventory and placed on the shelf within two days. If not, we will pay our client $50. How quickly, on average, did your fulfillment warehouse process new inventory shipments? Were any shipments temporarily lost on the loading dock? Did you miss sales opportunities because of delays in processing your inventory? As in so many other aspects of fulfillment, Amazon has led the industry in fast shipping, making two-day delivery an industry standard. One of the best ways to improve your fulfillment performance and lower shipping costs is to evaluate the time it took for your orders to ship and make sure your outsourced fulfillment is in the best location to reach your customers. In order to offer its clients fast shipping, Red Stag needed to be able to ship to almost everyone in the US in two days or less. To do this, the company expanded from its original location in Knoxville, TN, to a second warehouse in Salt Lake City, UT. Red Stag clients who split their inventory between the two warehouses can ship to 97% of US residents in two days or less. Within three days, their orders reach 99.9% of the country. Strategic fulfillment warehouse locations have a second benefit for ecommerce sellers. They reduce the cost of shipping because orders travel through fewer zones to reach the customers. Is your fulfillment warehouse in the best location to offer fast shipping to most of your customers? If you ship across the US, or even internationally, do you have inventory in multiple fulfillment warehouses to better reach your customers? When you outsource your fulfillment, having a clear picture of what’s on the shelves of your fulfillment warehouse is crucial to your success. If an item isn’t recorded in inventory, it’s dead weight, taking up space without the potential to generate income. Even worse, if your inventory includes ghost products that aren’t actually on the shelves, your customers could place orders you can’t fill. Red Stag has addressed the challenge of accurately tracking the thousands of items that flow in and out of its warehouses by creating custom software to track each product from the loading dock to the shelf to the package with a guarantee of 100% accuracy. How well were you able to coordinate your online orders with your fulfillment center’s inventory system? Did your fulfillment warehouse provide a dashboard that was easy to use? Were your remote inventory numbers correct, or did you experience glitches because of inventory mistakes? Shrinkage is a fancy term for “we don’t know what happened to your stock.” It might have been broken, stolen, or simply shoved to the back of a shelf and lost. Most fulfillment providers have a shrinkage allowance. In other words, they can lose or break a portion of your stock, and you have to pay for it. Shrinkage allowances can range anywhere from 2% up to 10%. Red Stag has a solution to this problem: the zero shrinkage allowance. If one of your products gets lost or broken after it arrives at the Red Stag warehouse, they will reimburse you for the cost of the item. What was your shrinkage rate at your fulfillment warehouse in 2018? How did that loss affect your bottom line? Your fulfillment provider can do more than store inventory for you and ship orders. A good fulfillment warehouse will become your business partner, offering add-on services that allow you to increase sales and profits. Red Stag’s business model ties the success of the fulfillment center on the success of its clients. If clients sell more and make more profit, Red Stag makes more money too. That’s why the company is always looking for ways to provide better services to its clients. One great example of this is kitting. Kitting solves a problem for ecommerce customers because everything they need to make the perfect gift or compliment a purchase is together in one convenient SKU. You don’t have to kit your items before they get to the fulfillment center – Red Stag can do that for you. Customization is another warehouse service that saves you time and money. If you sell mailboxes, for example, you need to add a custom address at the last minute. If your fulfillment center can do that customization, it’s one less task you have to worry about. Customization could include monogramming, embroidery, and more. Does your fulfillment center provide all the add-on services you need to grow your business? 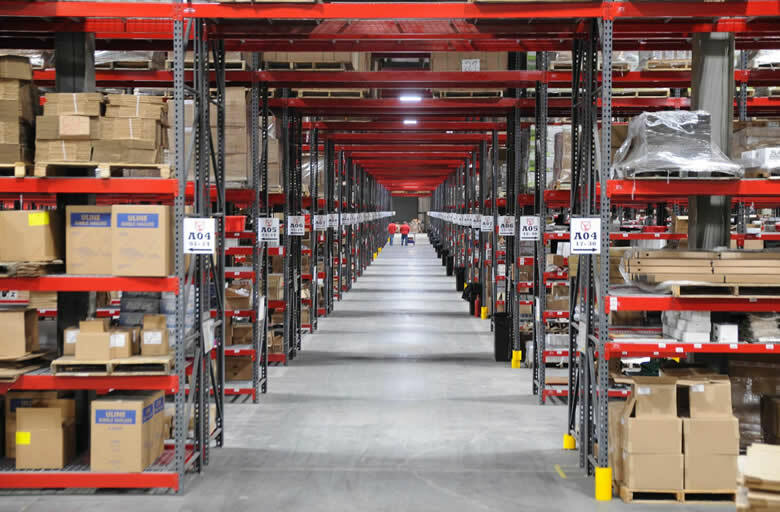 The first weeks of January 2019 at Red Stag Fulfillment’s warehouses were very different from the disorganized scene the founders had discovered at their previous fulfillment warehouse. The bustling activity of December had died down, but business was still brisk, processing holiday returns and sending out new orders. The floor was orderly, as always – no packaging strewn around. The breakroom was clean, too. Workers – who call themselves “The Herd” – stopped in for a cup of coffee and shared jokes with each other, proud to have made it through another successful holiday rush and looking forward to a busy year. At the outset, the founders just wanted access to a reliable 3PL provider so they could grow their businesses. Over time, as Red Stag’s reputation for unmatched accuracy and customer service grew, the fulfillment operation became one of their most successful enterprises. 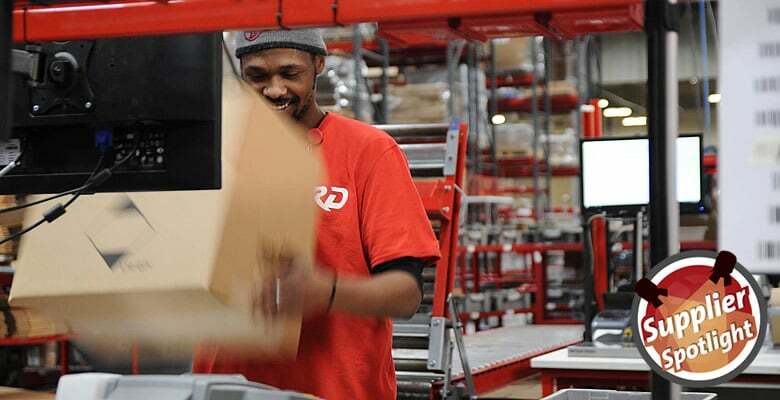 Red Stag’s customer guarantees, which are some of the best in the fulfillment industry, make it easy to understand why. Find out more about Red Stag’s order fulfillment services. This post was by Chris Molitor, Vice President for Business Development at Red Stag Fulfillment.